Can you really trust that your thoughts are your own ? 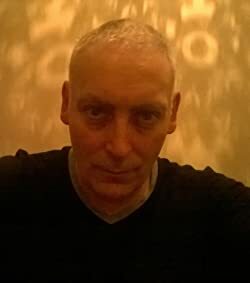 Incredible as it might seem, there is an ethereal field of inspiration assessable to all of us which surrounds all humanity and interconnects us. Since its discovery nearly a century ago, it has been manipulated to input the inception of planted thoughts, feelings and ideals to inspire & drive popular movements. Using every form of media to seed archetypal symbols and imagery deep into the unconscious; these could be programmed into conscious thoughts when primed by psychological triggers. This was not aimed at the individual but instead at selective parts of society. 31 Aug 1997 was a strange day that I will always remember. 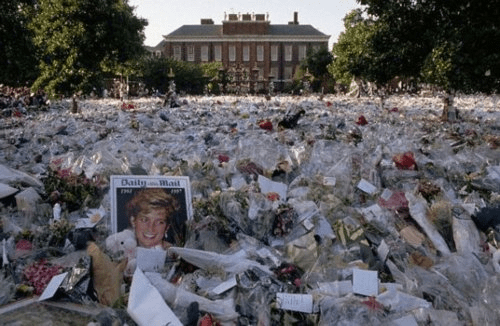 Princess Diana had died the night before in a car crash in Paris, and there was now something strange in the air. It was definitely not a usual Sunday; very few people left their homes. I wasn’t particularly fond of Princess Diana, but I felt sorrow and genuine mourning for her death. Many people felt it too. It was like there was an invisible connection between people who all shared the same mindset. The closest experience I could compare it to was standing in the football terraces when everybody around you was on the same page, experiencing the same feeling. The defining spirit or mood of a particular place and time is called a Zeitgeist. This collective feeling is a very potent force. It can introduce trends, influence change, and even fuel revolutionary feelings. Yet it is intangible and almost ethereal. It alters human mood swings collectively, without any need for supporting marketing or propaganda. Edward Bernays, the father of modern consumerist marketing, saw the connection between the Zeitgeist and the collective unconscious concept of Carl Jung. This theorized that memories of mental patterns and thoughts were shared on an unconscious level by members of a single culture, and more broadly by all human beings. 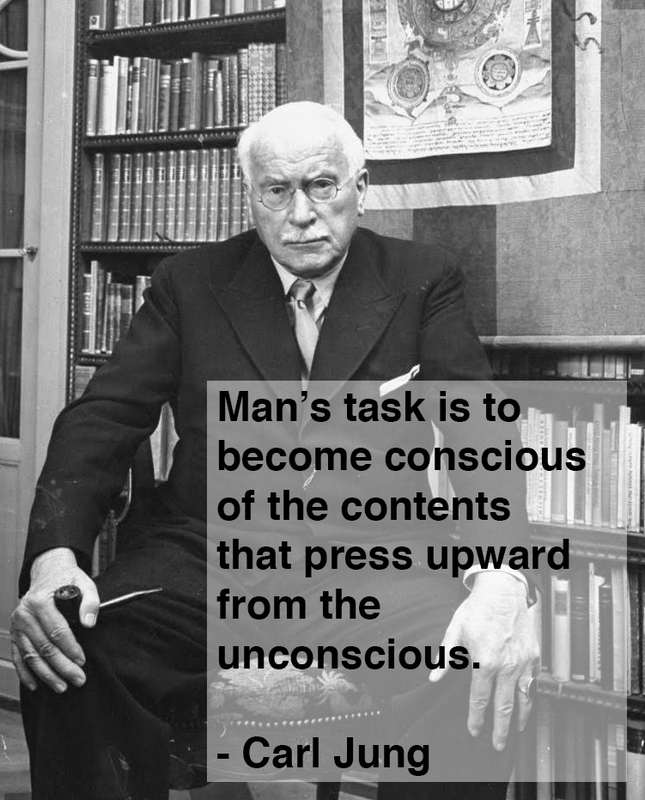 Jung realized that he could access this pool of knowledge and information by psychoanalysis and through interpreting dreams. Whereas his uncle Sigmund Freud vehemently disagreed with Jung’s theory, his nephew Edward Bernays embraced it, and sought to find ways in which to influence and incept ideas into this collective psyche. An idea is only appreciated if a person feels that it is of their own inception. Once that person sees their own idea or belief genuinely reflected amongst others in their social environment, that idea becomes believed in passionately. What Bernays and his successors gleaned from this was that they could subtly programme large groups of people through mass media and through seeding and hijacking genuine zeitgeists to twist and mould them into something to carry their chosen message. A classic example was the Arab Spring of 2011. This egalitarian movement seemed to be spreading like wildfire through the independent states of North Africa. A genuine groundswell of public defiance seemed to spread like a virus from Tunisia to Libya, and then on to Egypt & Syria. Dictator after dictator seemed to fall, and the whole Middle-East seemed to be encountering popular revolution. Something was definitely in the air. Or was it? Tunisia may have been a genuine citizen’s insurrection against a corrupt dictator that had been lining his own pockets. However as the mood spread to Libya the zeitgeist of rebellion seemed to have been influenced by political and strategic ambitions of NATO. A feeling of insurgency was stirred up by external agencies against Gaddafi, and Nato special forces infiltrated the country accompanied by security agency personnel to identify potential opposition leaders, offer military training, and organize the insurgency. The USA, UK, and France had decided that Gaddafi had to go, and that European oil & gas interests had to be protected at all costs. From the Libyan revolution onwards, the Arab Spring became hijacked and twisted. The zeitgeist of sweeping change and reform that was genuinely spreading across frontiers. It was influencing and committing citizens of each nation state, but it was getting hijacked and manipulated in every case by external nations trying to manipulate the people’s mindset. The United States tried to directly influence the outcome of the Egyptian and Syrian insurrections, and elsewhere the Arab Spring turned into a political war of influence between Saudi Sunni wahhabism & Iranian Shiite expansion. Later that year another genuine zeitgeist was to arise deep from within the collective unconscious of the people. It was a much more subtle collective understanding held by a few people at first but growing all the time. 11:11 was also a feeling of change, but this was personal change on a spiritual level; it was about awakening our consciousness. A growing number of people began to experience synchronicity with the 11:11 numbers. There random appearance would become increasing noticeable, and some people started seeing the numbers everywhere. This is not an unusual observance for the human brain to notice patterns of numbers or synchronicity in their appearance. The real issue here was that the 11:11 phenomenon was noticed across the board among the new age community. Even though the source of the inspiration was unknown, new age spiritually minded people began to identify these numbers with a coming consciousness change within humanity and an increasing spiritual motivation within society. 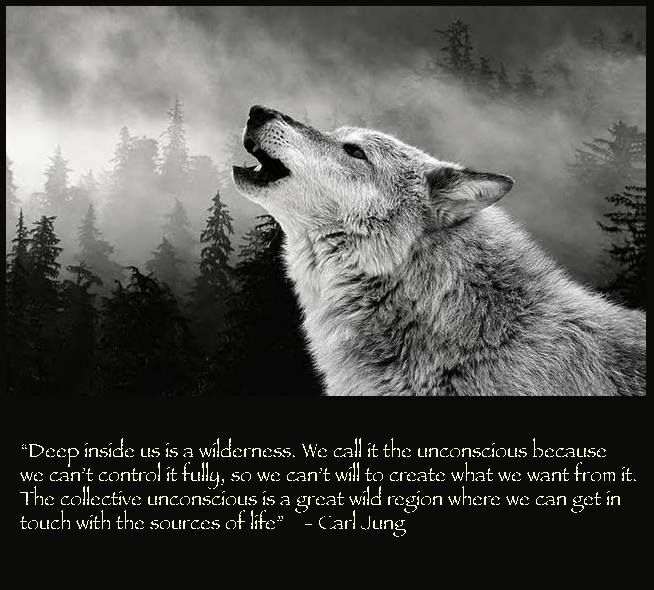 This was a pure example of Jung’s thesis of the deep collective unconsciousness of humanity rising to subjectively influence individuals. There was shared synchronicity, shared imagery, and a shared zeitgeist among the unconnected individuals who experienced the 11:11 phenomenon. This was very similar to the original phenomena of observations which had led Jung to his discovery. In the years just prior to the outbreak of the world war, Jung had discovered an increasing repetition of the same dark imagery of traumatic times ahead in the dreams of his patients which he analysed. He correctly identified that they were not related to personal complexes of his patients but were instead commonly held. He deducted that they were being stressed by a future event of immense scope which would traumatize them all at a later date. The outbreak of world war which followed and affected his patients directly confirmed in his mind that strong future emotions such as trauma were stored in the deep collective unconsciousness and could be accessed through dreams or psychoanalysis. Pursuing the earlier study of Edward Bernays into the workings of propaganda, other psychologists were given remits to further investigate the science of mind control. Individual mind control had been demonstrably proven by the North Koreans and Chinese on their prisoners of war. However it was mass mind control which remained the elusive Holy Grail. Experiments with mass media showed the effectiveness of seeding suggestions in every aspect of media. Although the real target of Bernays’ remained. 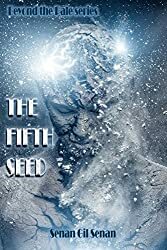 This was seeding the inception of thoughts and ideas into the collective unconscious. The easiest way to achieve this was to use the current subliminal advertising techniques to subliminally implant archetypal symbols and dates deep into people’s subconscious. 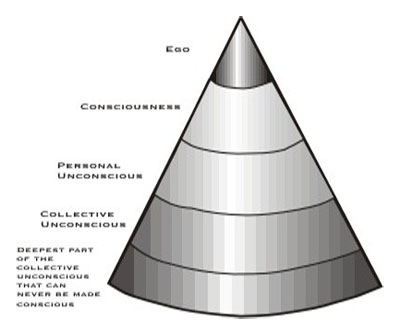 Jung had identified that the deeper collective unconscious was seeded with archetypes and symbology, which enable complex information to be recorded and stored in easily recognised visual imagery and simple persona templates. Therefore the key to seeding the thinking of the masses and the inception of ideas in the future was to subliminally insert symbols, imagery and archetypal imagery into mass media along with visual images of dates which were designed to prime the implanted thoughts to rise into the subconscious at target times. For example if you go back and watch any Hollywood disaster movie, you are likely to see archetypal images juxtaposed against visual representations of traumatic events often with numbers or dates displayed in preceding or following shots. Here is an example of the archetypal demonic gargoyle watching over landmark sights in Paris being cataclysmically destroyed. There is a current example of another popular zeitgeist of upcoming disaster in play presently. 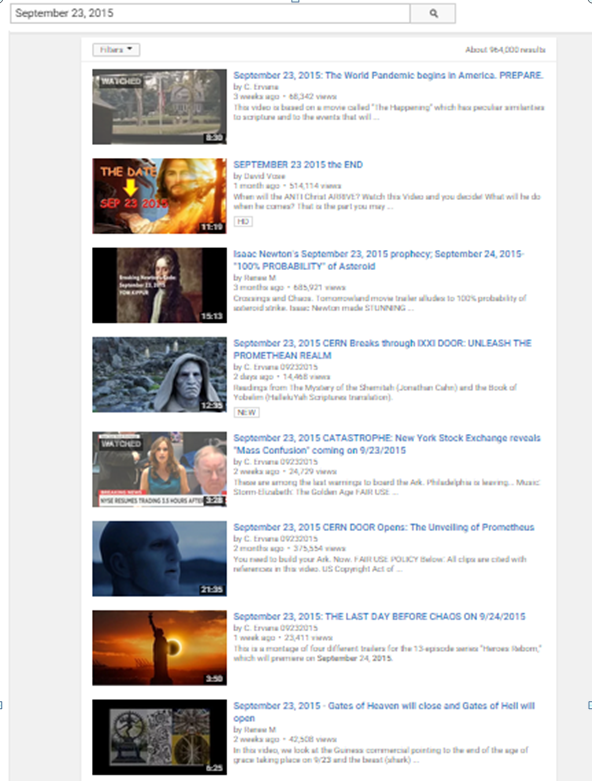 Do a search on YouTube for September 23, 2015 and you will receive pages of results each predicting a deferent bespoke definition of disaster predicted for that day and the following five days. These range in scope from asteroids hitting the Atlantic, to the Cascadian subduction zone earthquake creating a pacific tsunami that engulfs coastal seven cities in the north west of the USA. Others predict financial meltdown as the US Dollar collapses and financial markets collapse. Some envisage a mass seizure of assault weapons following martial law being enacted across America, or even the outbreak of world war. Once again, this has been predicted as a possible date for the rapture suggested by the Apostle Paul in the 2nd letter to the Corinthians. Do you see the pattern here? A small but potent section of the population is being seeded with a date, and archetypal imagery of cataclysmic disaster. I would imagine that Edward Bernays would consider that the collective unconscious was being seeded with emotionally charged thoughts of panic and disaster primed for this date. Obviously at the time of writing this article, (July 2015), I don’t know what, if anything, will transpire on those days from 23rd to 28th September 2015. However I do expect to see some zeitgeist driven event probably orchestrated to feed off all that subliminal fear and panic which has been seeded in the collective psyche. Psychology can seem perverse. 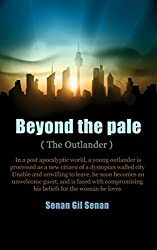 Thus if you can seed thoughts of panic and disorder into a person’s psyche primed for a certain date, then if that event fails to manifest, the zeitgeist can still be used. The negative mindset can be converted into a passionate and positive acceptance of any treaty or system of control and order initiated during the same time period. Yet another End of World date seeded into our thoughts to facilitate fear and panic. This may be one of the reasons why our society seems to always be beset by existential threats. They are both imminent and future dated, clear and present, as well as subliminal. We are drowning in a sea of potential threats to our safety and that of the world. There is always terrorism, new virulent diseases, financial collapse, tyranny, imminent world war, and natural external existential threats to humanity & earth such as comets. It is amazing that we manage to limp through a working week. Does it ever occur to you that you are living in a psychology experiment, in which the Freudian and Jungian psychology is being employed to incept fear and panic deep into your subconscious and into the collective unconscious? Remember that if you want to control somebody, all you have to do is make them afraid. This non-fiction writing resonates much stronger with me. ← Can a new world emerge without destroying our present one?